Spencer Global specializes in providing corporate and business support services for small to medium size ventures in Chile. From international companies opening a local subsidiary, to the private entrepreneur chasing a personal dream, at Spencer Global we understand that there is far more to starting a successful business venture in Chile as a foreign investor than simply incorporating. We have helped clients do everything from open branch service offices in Santiago, to building commercial telescopes in Nothern Chile, to establishing fly fishing lodges in the remote Patagonia. We provide the sort of comprehensive support services and advice you will need to help you navigate the business regulations and cultural differences in Chile, both before and after you start your business. There is a famous saying, often attributed to Will Rogers, “I'm not as concerned about the return on my money as I am the return of my money.” Regardless if Will Rogers said this or not, the idea of protecting your investment is a good starting point when planning for the protection of your assets in Chile. We want to take a look at some considerations for asset protection in Chile. There are two types of numbers commonly referred to as a “RUT” in Chile. A temporary "RUT" or "rol único tributario" for foreigners is only a tax payer ID number. Another type of “RUT” (sometimes called RUN) is for Chilean citizens and Chilean Residents. The permanent RUT for citizens and residents is a national ID number, similar to a Social Security Number, and is used for passports, tax issues, Identification, and many other things. Companies are also issued “RUT” numbers for tax purposes. A power of attorney can be executed for just about anything in Chile. 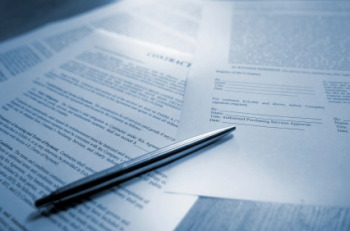 Powers of attorney should be limited in scope to particular tasks or goals, and they MUST be drafted by a qualified attorney. A poorly drafted power of attorney, after getting all the proper authorizations outside the country, can ultimately be rejected or accepted by each notary, government office, or private party in Chile, if not drafted correctly. The amount of effort and expense you need to validate a power of attorney inside of Chile, from outside Chile, makes it essential that the Power of Attorney be well drafted from the start. Incorporating in Chile starts with making some serious decisions about what the overall business goals are will be in Chile, and what activities your new company will engage in now and as far in the future as possible. These decisions should be made carefully now, as the articles of incorporation in Chile can be expensive and time consuming to modify after formation of the company. We will take a brief look at a few things you need to consider in order for your attorney in Chile to draft articles of incorporation in Chile that are flexible. For a person to qualify to be a legal representative of a company in Chile under Chilean law, the person must be an adult over 18 years of age and a permanent resident or citizen of Chile. They do not need to be an attorney, accountant, or even a partner / shareholder in the company; however, they may be such a person. They can simply be an employee of the company or volunteer third-party. Foreigners can not act as legal representatives of a company even if they own a majority of the company, until they have obtained full permanent residency status in Chile. A legal representative is someone designated to be the legal “face” of the company with ultimate signature authority over all official acts the company might undertake. This obviously creates the potential for problems.